AUTEUR ARIEL: I apparently hate color. These overalls I'm wearing today from SWELL are so spunky and unique! I love that it's not your typical denim overalls--it has an artsy vibe to it. Like I can see myself painting a mural in an art studio with these babies on. Oh and of course whilst wearing a beret. 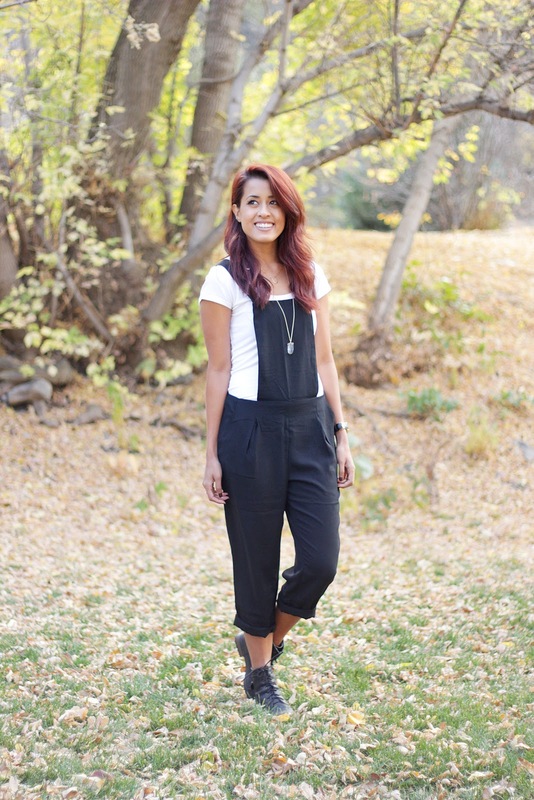 :) SWELL is your one-stop shop for all your fall fashion needs! They have the cutest sweaters, beanies, and even socks--ranging from all your favorite brands! Tuesdays are my gold mines for TV--I have like 8 shows on tonight so if you need me I'll be over here on my couch vegging out (but really, what else is new). those overalls are too cute! This outfit is perfect! I love monochromatic looks! Great necklace!! Sometimes longer ones just don't sit right on me, but that one is perfect - and so cute with the overalls! 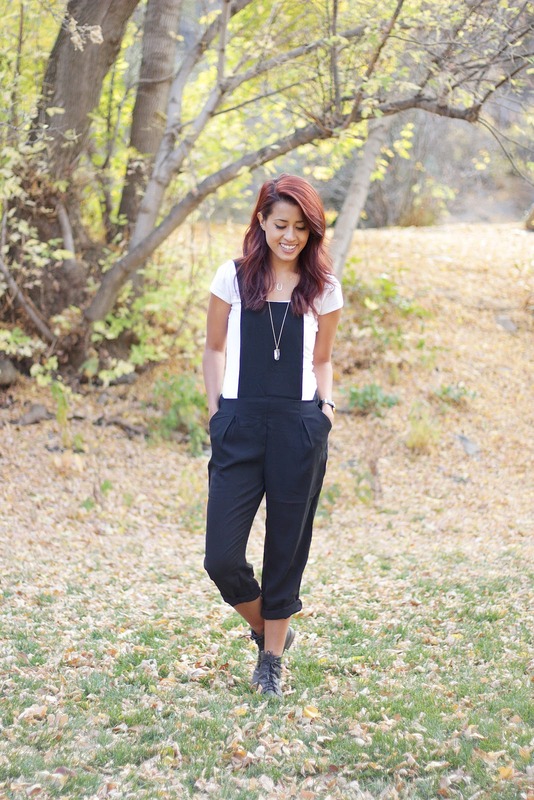 Love the overalls on you! And I am crushing on your hair color! You look GREAT! I love overalls! This one looks cute and comfortable! Hi there. Found your post through Feel Great Fashion Link Up. Loving this look! Another beautiful outfit! I see no problem with black and white all day, every day, so chic! it's ok to lie black! i love it! this is one very stylish outfit!